One amazing book and the first of #CJSRead's December Picks - see what we all thought! Holy crap. This book was incredible. 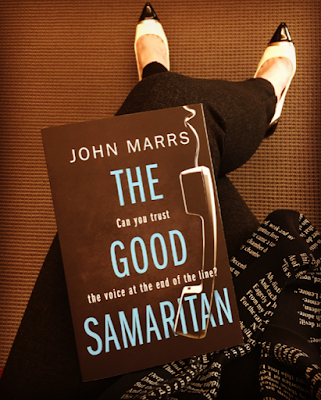 THE GOOD SAMARITAN by John Marrs starts off with a bang and doesn't quit. 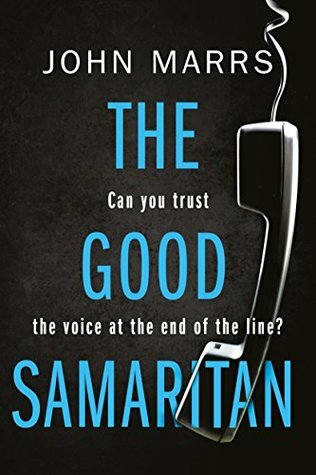 I loved the unique premise - a woman working at a suicide hotline but instead of talking someone down, she encourages them to go through with it. Laura is an incredible manipulator. Like my buddy reader, Chandra, I completely agree that these are some of the best villains and killers. They don't need the physical strength or have to personally commit the violence to their victims, they simply can use their words to manipulate someone into committing the atrocities themselves. If anything, that's the most unnerving because it could be anyone. Laura works at The End of the Line, which is a hotline for those contemplating suicide. I feel that most people are familiar with the core concept of these hotlines. Someone looking for help and a kind, encouraging reassurance that they can overcome these thoughts. Those unfortunate enough to get connected to Laura get the exact opposite. I don't want to give away too much about what happens, but this will pull you instantly. 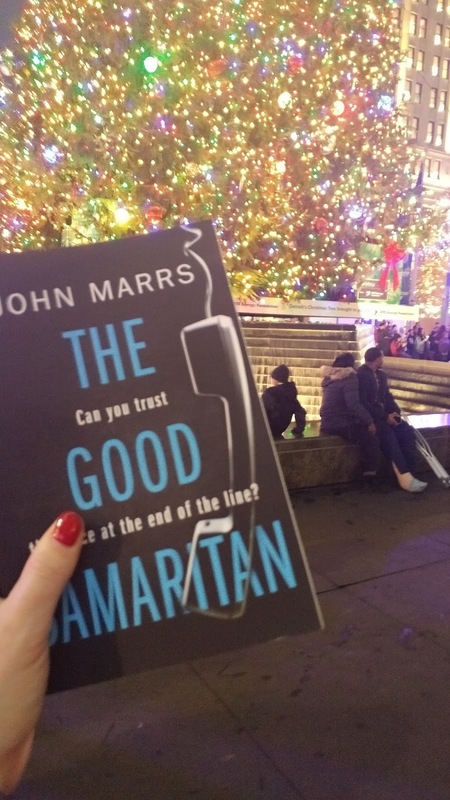 The characters were engaging and Marrs has a great writing style. If you like dark and disturbing, then this is the next book you need to pick up! Overall, I highly recommend this unique psychological thriller. This may not be for everyone, but the story that Marrs weaves for the reader is one you won't soon forget. Earlier this year, I read The One by John Marrs; this book stuck with me for the entire year. I compared other books to it. I talked about it with my friends. 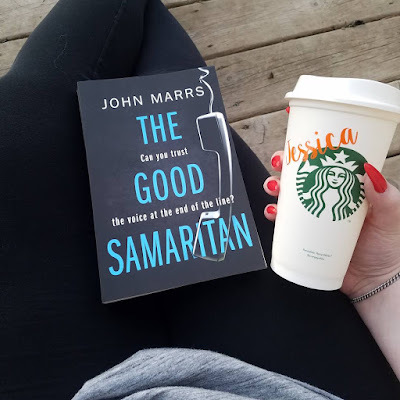 So, when I realized The Good Samaritan by John Marrs was being published this month, it skyrocketed to the top of my TBR pile, especially after reading several rave reviews about this title on its blog tour! 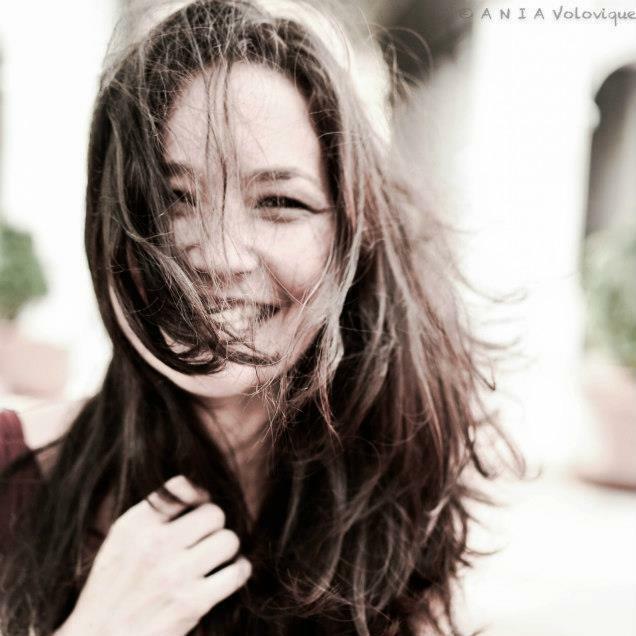 The novel surrounds Laura, a woman who volunteers at a suicide hotline with some serious ulterior motives. She does not want to provide any hope or reassurance to the callers she is supposed to be comforting, she wants them to die. However, after one of her callers, Charlotte, completes suicide, Charlotte’s husband, Ryan, will stop at nothing to get to the bottom of his wife’s demise. As a game of cat and mouse unfolds, Laura and Ryan find themselves in an intricate dance of revenge and manipulation. Full of twists, turns and stellar writing, this book will have you on the edge of your seat! Like the last novel I read written by Marrs, I would his writing style to be incredible. He has the uncanny ability to complete wrap his reader in. His writing is captivating. I could not tear myself away. As always, I am going to be discussing this novel so it is spoiler free, but this one could be difficult, so bare with me! The content of the story I found to be incredibly disturbing. In fact, the prologue of the novel made me feel physically nauseated. I actually thought I would not be able to continue this one after that first chapter because I was so upset by the content. However, after the first chapter, I did find that the story became easier to digest. The story itself is written very originally. The story moves chronologically through the eyes of Laura as she works at the hotline and manipulates the callers, then backtracks back to the beginning through the eyes of Ryan, as he mourns his wife and then moves chronologically forward as the two characters collide. Initially, I didn’t like this at all. I found it moved too far away from the story and it was strange to read the story through the differing perspectives as a third party, since I already knew where the story was heading. However, in the end, I actually really liked the way it was written! Overall, if you want a deeply dark and disturbing story, then this will fit the bill. However, if you are squeamish, I would maybe avoid this one. Regardless of how amazing the writing is, it is incredibly dark- and that says a lot coming from me! "I will save them from themselves. That is what I am: a saviour of lost souls." This book starts off with a bang and stays fairly consistent until it crescendos in part three and while you couldn't put the book down to begin with, you REALLY are glued to pages once you get to this part. Marrs masterfully creates complex characters and shows each sides of them in a way that has you completely engaged. Love them, hate them... and you probably will have ALL sorts of feelings towards them, you still can't help but be fascinated. We start with Laura's story in part one, Ryan's in part two and then bring them together in part three where Marrs really shows his writing chops as he continually slaps me in the face with something new I wasn't expecting. YES, YES, YES! I love it when a book does this and does it SO WELL. I can see why this would be a disturbing read for some. Personally, I love the dark, disturbing and sometimes uncomfortable reads.. but for what is uncomfortable for some, is what keeps my interest even more. An original, compelling and chilling read. I highly recommend this to those who love that complex psychological thriller.